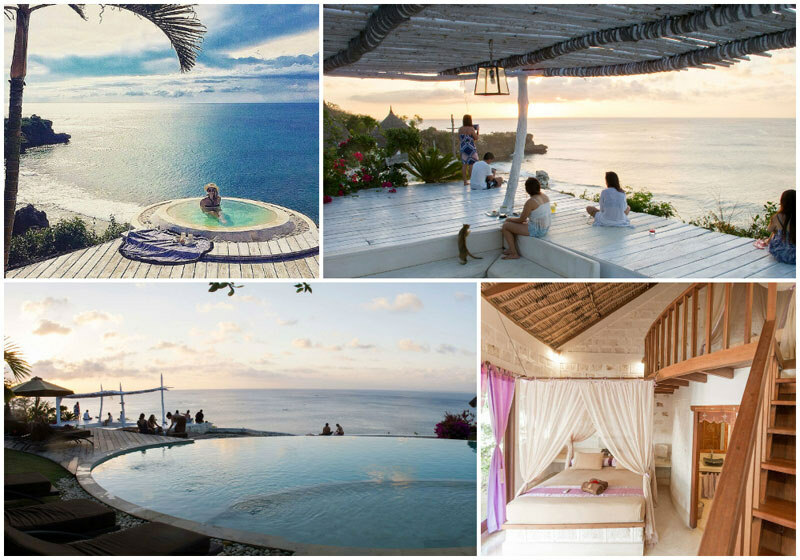 When it comes to your perfect Bali experience, this is the one-stop guide of Bali accommodation you should definitely read. 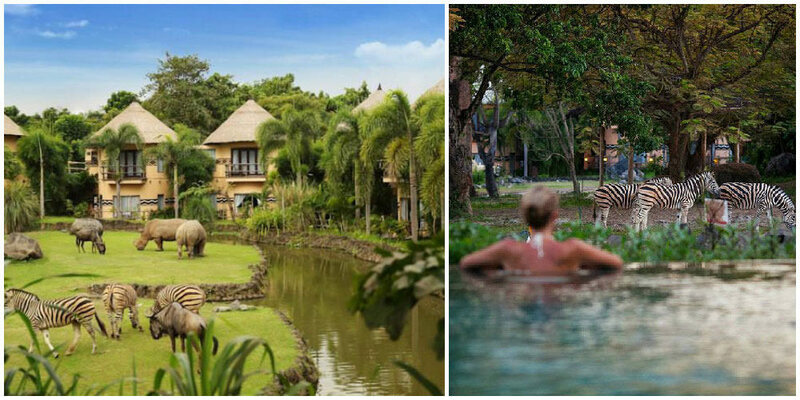 Having a hard time deciding where you should stay in Bali? Depending on what you’re looking for, different areas on this mystical island of Gods will suit any type of traveler. Whether you’re a solo backpacker; a couple celebrating a romantic anniversary; a group of friends out to party; or even a family bringing your young children for their first overseas experience – there are many options for different travelers. 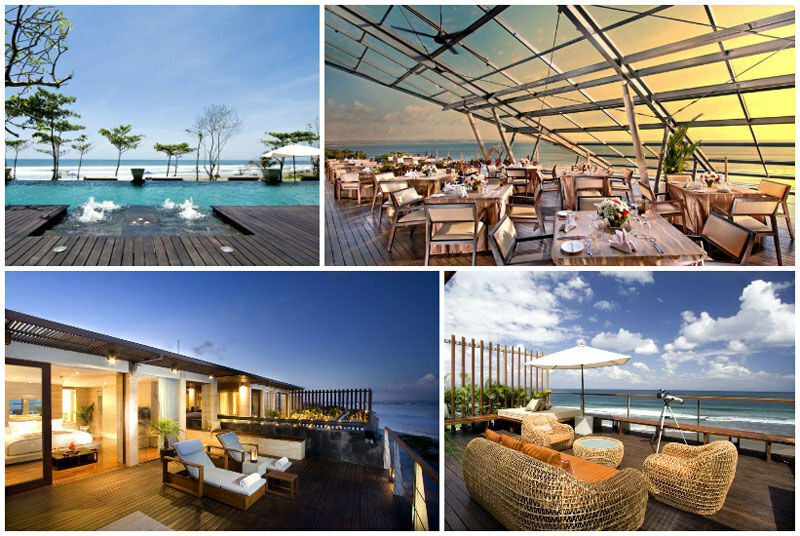 We break it down for you in our one-stop, no fuss ‘Where to Stay in Bali’ guide. 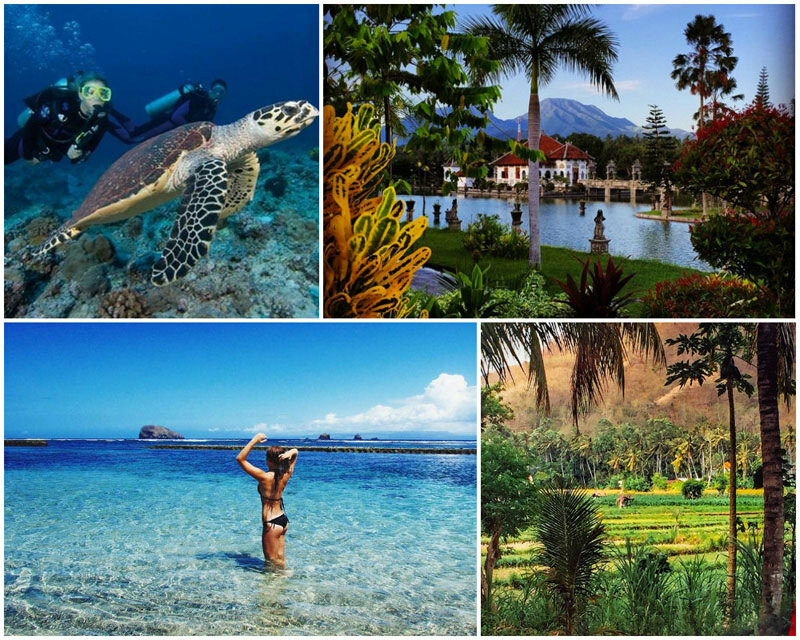 No matter what you’re traveling to Bali for, you can be assured to have one of the best times ever! 2. Infographic: Where Should You Stay? 3. How do you find the best hotel prices? Q: What are the differences between 3, 4, and 5-star hotels? A: Typically, 3-stars means comfort, 4-stars means first-class, and 5-stars means luxury. The main differences between 3, 4 and 5 star hotels basically boil down to their amenities/facilities, service, grooming and training of staff. Q: What are the prices for 3, 4 and 5-star hotels? A: 3 to 3.5-star hotels range from $20 to $100; 4 to 4.5-star hotels range between $100 to $300; and 5-star hotels go from $300 and above. Q: What is the difference between villas and hotels? 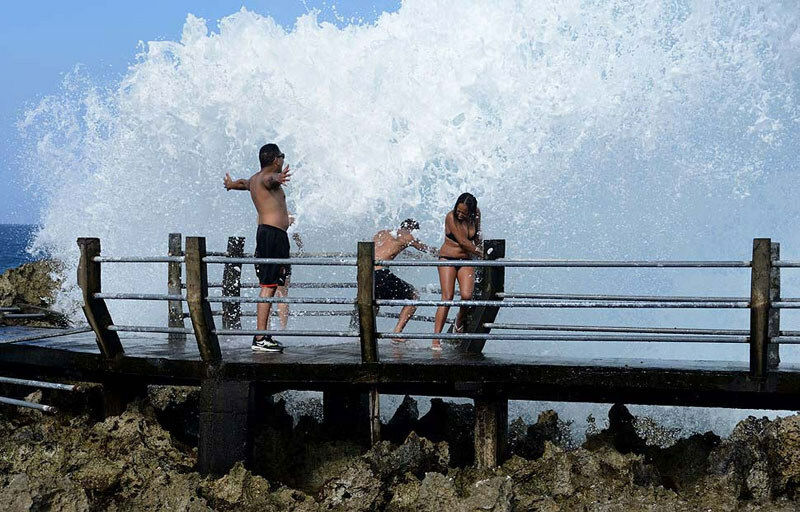 Q: What are the high and low (peak/off-peak) seasons in Bali? Q: What is the price difference between high season vs low season? A: Basically, you pay up to 20-40% more for peak seasons. 3. How can you find the best prices for hotels? With so many different websites selling the same room – hotels themselves, the online travel agencies (the likes of Agoda, Booking.com) – how do you ensure you get the best rate? Hotelscombined is one of the websites where you can easily compare prices among many major online travel agencies like Agoda, Booking.com etc. While it’s good to compare across different such search engines to have more comprehensive results, contacting the hotels directly might get you some special packages that aren’t available elsewhere. But of course, the rule of thumb is – always check the final price on the final checkout page before making any bookings! Alternatively, you can also go to reputable offline travel agents in your area , because sometimes they have great packages including flights and they have the experience to guide you on the best flight connections, visa restrictions (for a small fee). 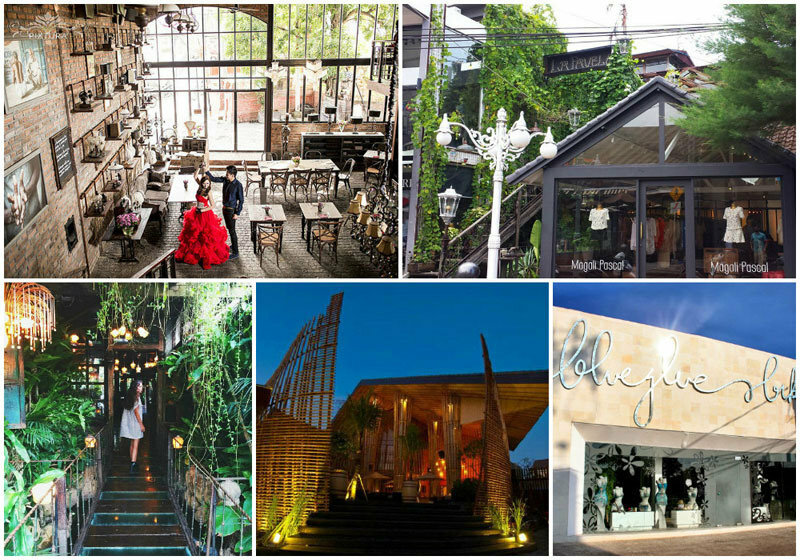 Sophisticated Seminyak is a great (more upmarket) place to shop, visit cafes, and go to the trendiest clubs. With quirky quality boutiques and cool cafes peppering the area – Seminyak is a good place for group travel and even an all girls retreat! 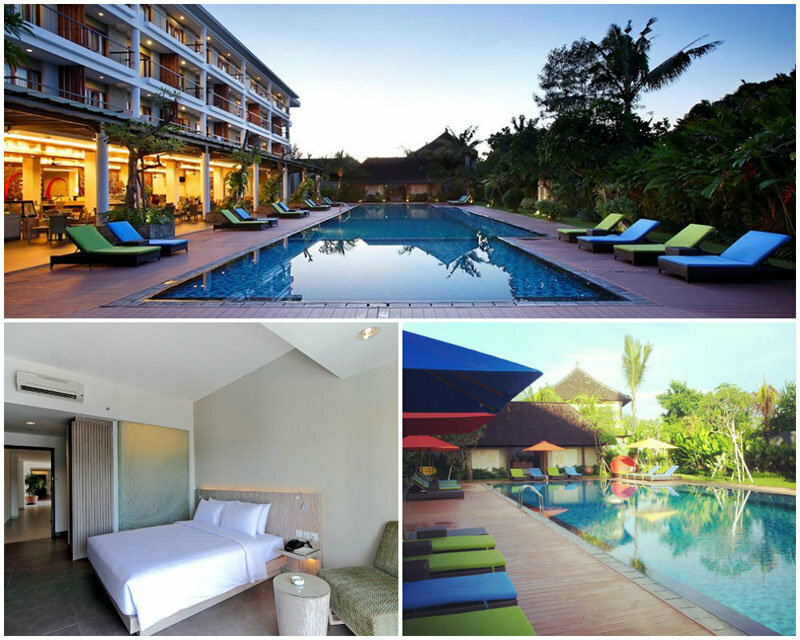 There are many amazing accommodation all around Seminyak for you to choose from. While Seminyak is sophisticated and fast-paced, Legian is slightly more laidback. 7bidadari provides utmost value-for-money with splendid modern, tropical decor complete with quirky vintage vibes. Situated in a quieter area of Seminyak, there is also a convenient shuttle bus to bring you to the main area of Seminyak. Situated right in the heart of Seminyak (Jalan Laksmana), and close to everything – IZE gives you the best of both worlds. Great location, and amazing amenities like the perfect rooftop pool to relax at, at the end of the day. 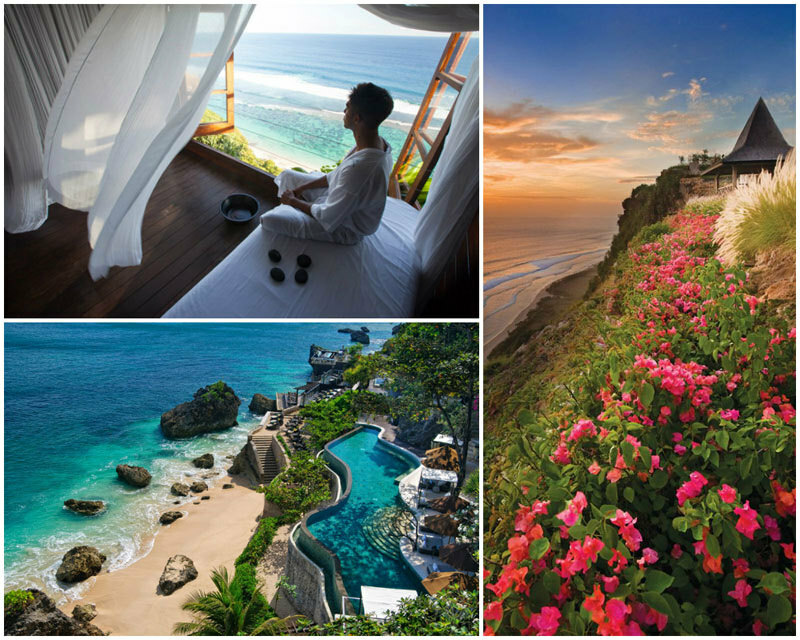 Stunning views (and equally great service) are what you can expect from Anantara. Swim at the stunning infinity-edge pool, or even get your own Ocean Suite with a beachfront view. Located near everything, Anantara will give you the luxurious Seminyak experience you deserve. Hit one of the hottest clubs on the scene, Potato Head Beach Club! Brunch at the latest fabulous gypsy café, La Laguna. Kuta is well known for its beach life, and of course, the beach bars. There are many affordable warungs and shops around – such as market stalls selling beachwear and random knickknacks. Poppies lane is in Kuta, and is popular with surfers, backpackers and travelers who want budget accommodation. 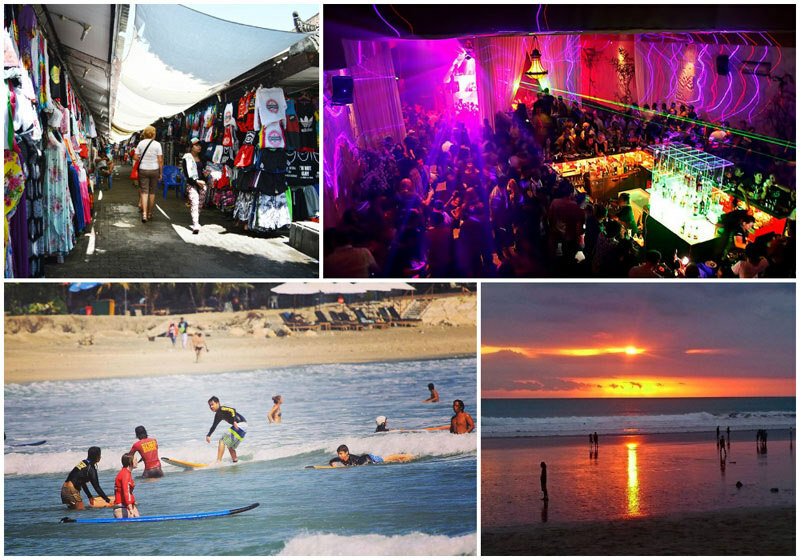 For people who love to surf by day, and just party and drink by the beach with friends by night, Kuta is the place to be. 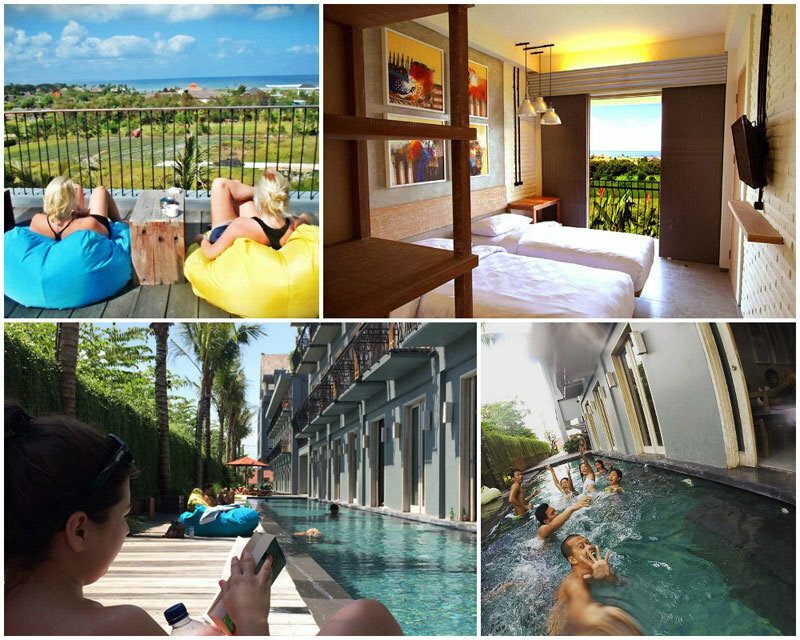 At 200 miles away from Kuta Beach, this perfect Kuta budget hotel lets you easily indulge in all the fun water activities nearby. 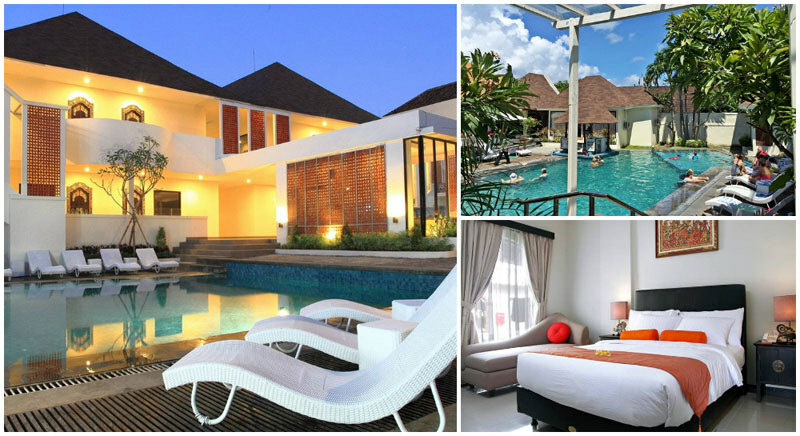 Asana Agung Putra is also located near shops, markets, restaurants and fantastic nightlife for your Kuta holiday. Another great thing to note, this hotel offers interconnecting doors for you and your friends to get together any time. 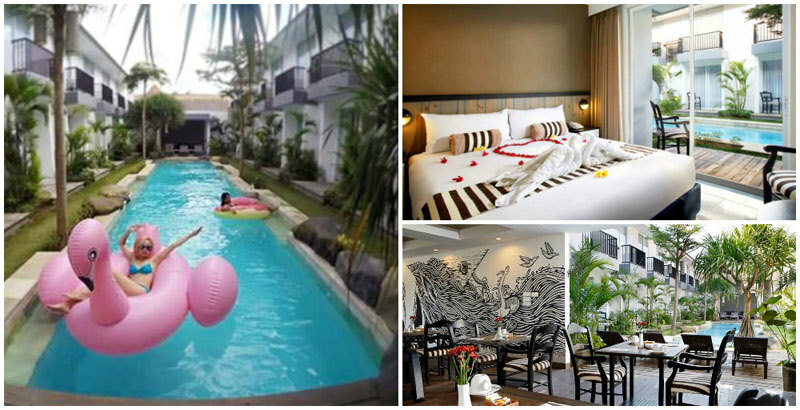 Located right across Kuta Beach, Kuta Heritage Beach Hotel is a good choice to make. Surrounded by many shops, restaurants, and masseuse spots, you’ll definitely not be bored. And if you do stay here, be sure to make full use of their gorgeous rooftop pool! Looking for a room with the best beachview? 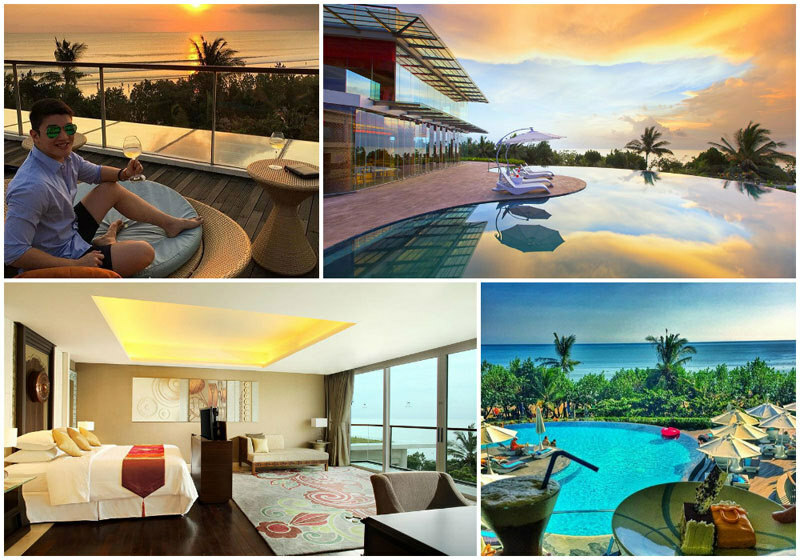 Sheraton Bali Kuta provides rooms with access to the most glorious view of the beach. Add to that, the beautiful infinity pool, and the proximity to the Beachwalk Mall – and pool parties (with an international DJ) held at the resort itself, your holiday is set. 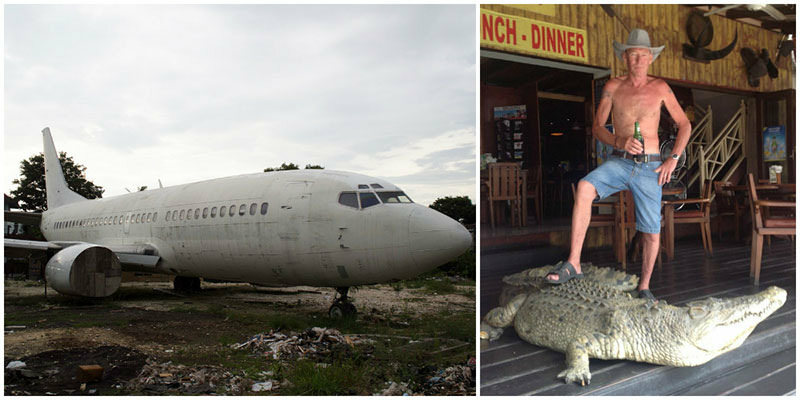 Explore an abandoned plane right in the middle of Kuta, or visit The Bush Telegraph Pub with a gigantic crocodile at the entrance! Get your fill of mouthwateringly authentic Balinese fare at Sunda Kelapa Restaurant Bali. Traffic in Kuta can get really bad, so be prepared for it. Try to get accommodation that is conveniently situated near the places you’ll be visiting. Beware of touts and scams on Kuta Beach. Ladies walking alone in Kuta can attract unnecessary attention – try to avoid walking alone at night especially. 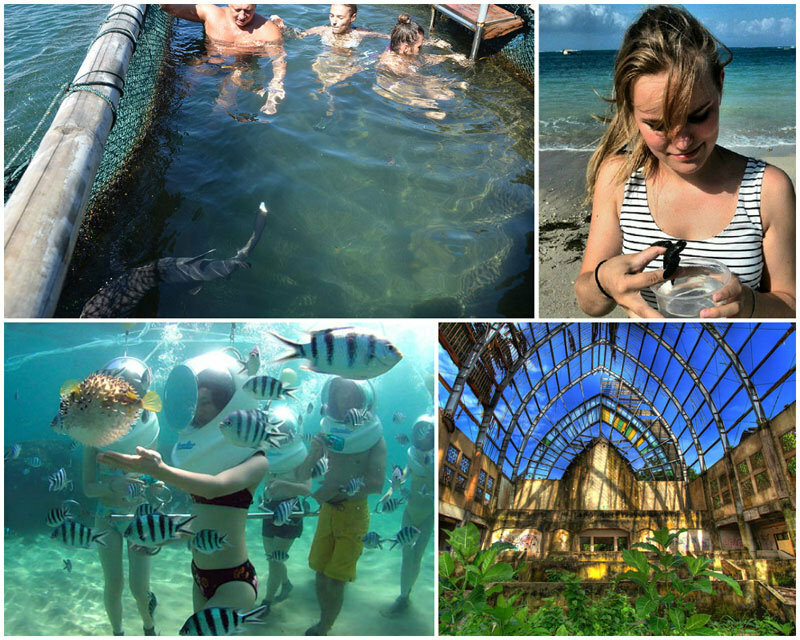 Glass bottomed boat rides, fishing trips, kite-surfing, snorkeling and swimming are but a few of the many aquatic activities available. Adventurers can find water sport action with a huge dose of nature’s beauty at Nusa Dua. 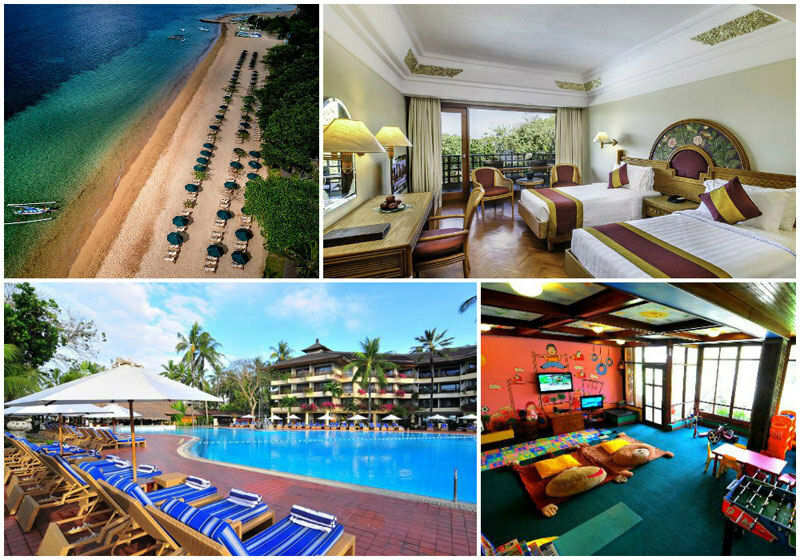 Apart from aquatic action and nature, people also come for the value for money 5-star beach resorts. It is also a great honeymoon spot, or for parents who want to bring their children on family-friendly adventures. Nusa Dua is an idyllic location that will leave everyone happy and satisfied. 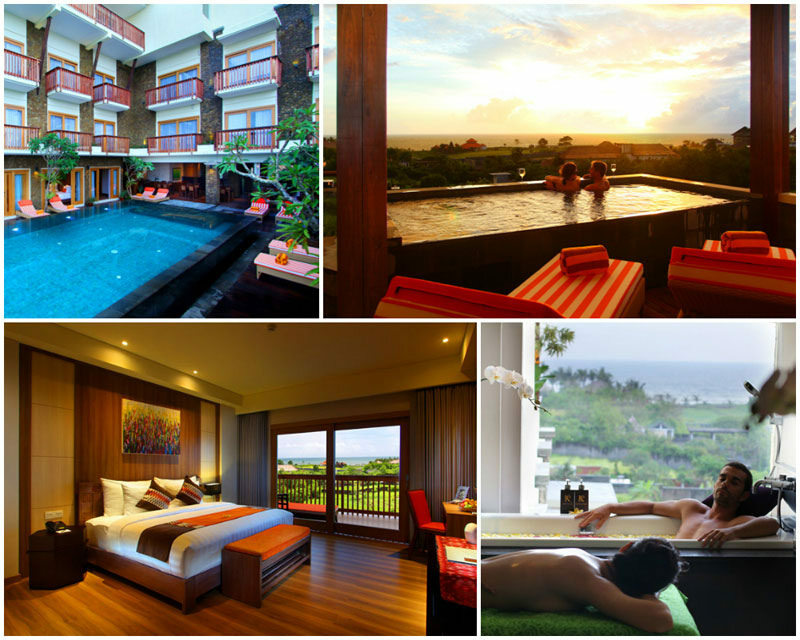 While Nusa Dua is one of the more luxurious areas around Bali, Hotel Santika gives you that famed luxury for much less. Enjoy modern design with a traditional touch as Hotel Santika combines Nusa Dua glamour, with good old Indonesian hospitality. 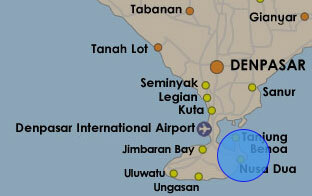 And with Tanjung Benoa only minutes away, its easy getting to where the action is. If all you’re looking for is a fantastic hotel situated right on the beach, look no further. Your tropical paradise awaits, with a long beachy stretch of pristine white sand, and sparkling turquoise waters. There are even 7 different blue lagoons and pools spread across The Laguna, that will give you the ultimate beach vacation you’ve been waiting for. 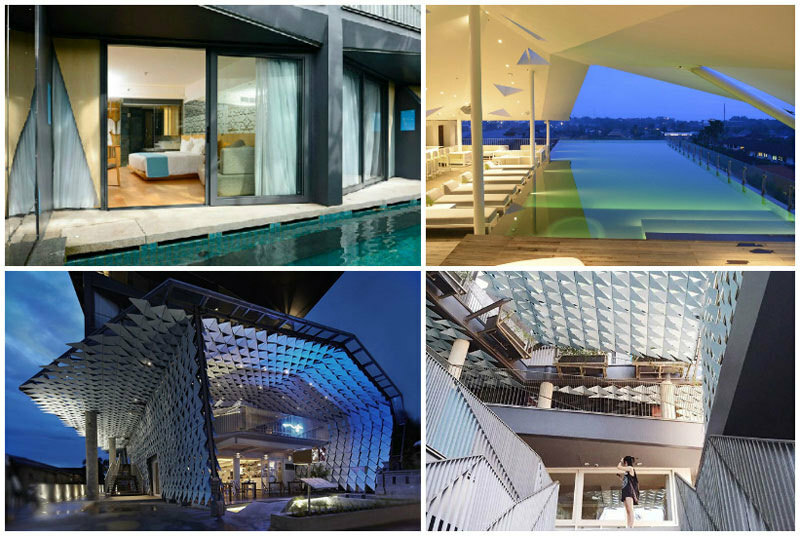 This 5-star resort is almost entirely surrounded by water. Can you imagine having breakfast on this pavilion that sits on a crystal clear blue lagoon, half the size of a football field? That’s the level of luxury you’ll enjoy if you stay at the St. Regis Bali, which is situated along Nusa Dua’s exclusive beach, set against the backdrop of the Indian Ocean. For those who are looking for unique places to dine at, Pirate Bay won’t disappoint. 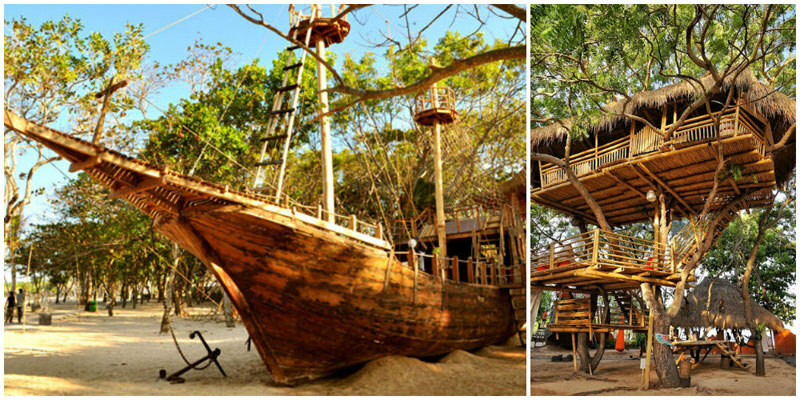 While you are chilling out by the beach, your kids will certainly have lots of fun with the pirates ship and tree houses there! 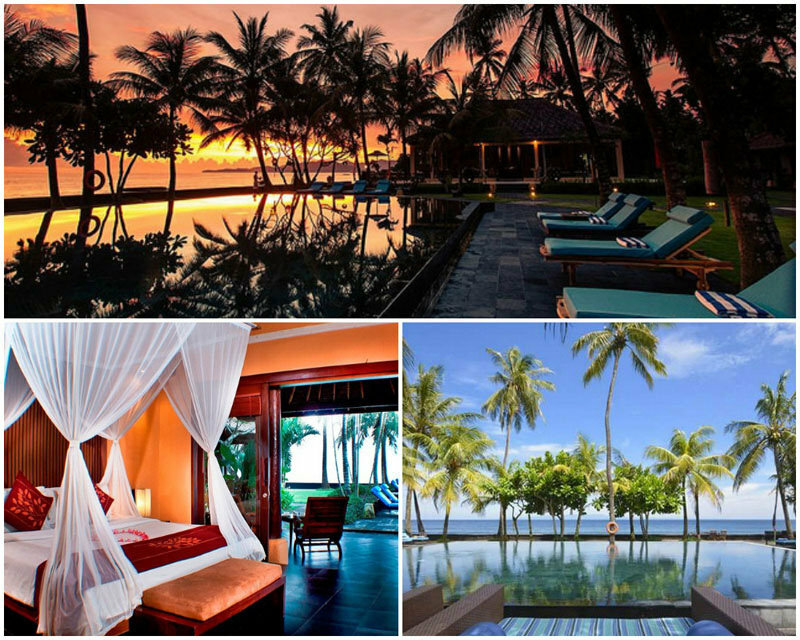 Nusa Dua is known for its all-around luxury. As such, cheap eats are difficult to find. 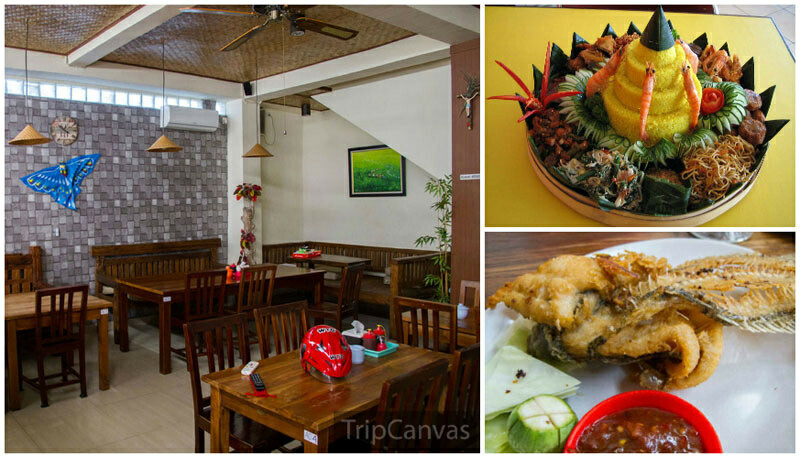 Drive a few minutes to JL Mengiat St, and check out the more affordable restaurants there. 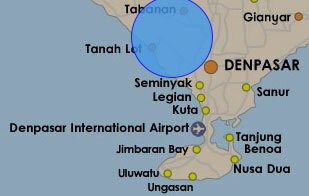 Alternatively, go to Tanjung Benoa, along JL Pratama, where there are restaurants along the road. Think world-class spas and cuisine, along with beautiful beaches, water sport activities and cultural sights. Speaking of cliffs, people also come to Uluwatu specially for the cliff-front setting. 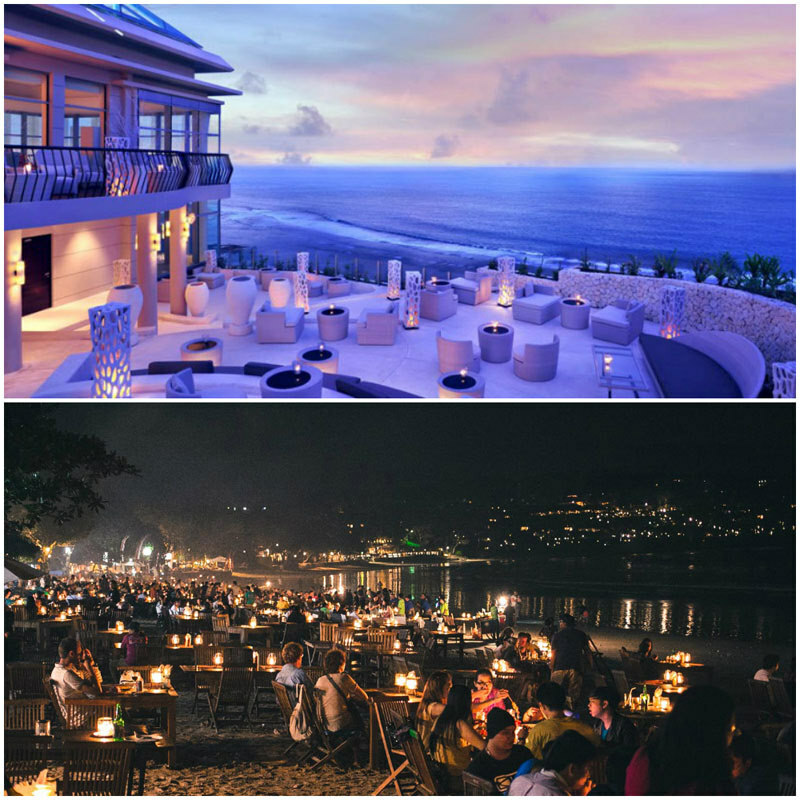 And with ultra luxurious cliff-front hotels like The Edge, AYANA Resort and Spa, Bulgari, and Khayangan Estate, Uluwatu is a place where wealthy individuals come to holiday, or throw luxe events like weddings. A 5-minute walk from Padi Shopping Centre; 16-minute walk from Klapa New Kuta Beach; and a 20-minute walk from New Kuta Golf – finding fun activities around from La Joya will be a breeze. 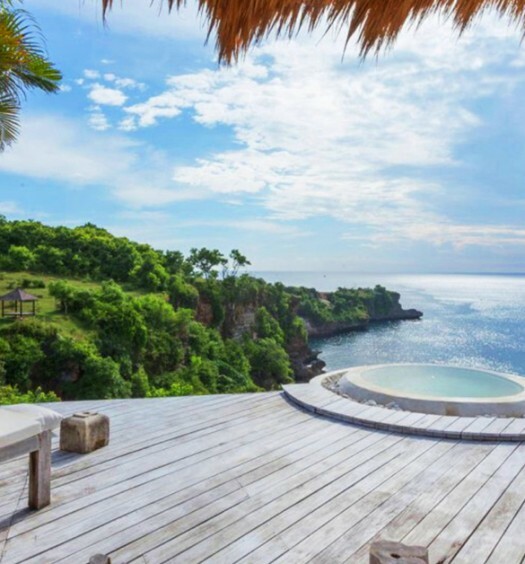 There are also different types of villas and bungalows to choose from, with a myriad of designs and amazing views (like majestic cliff settings!) available. You’ll be able to find what you’re looking for at La Joya. 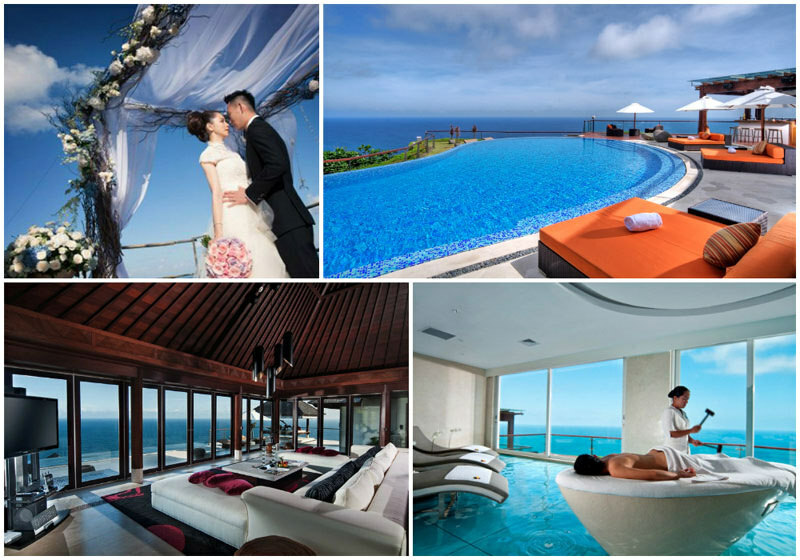 Check out the stunning views at Uluwatu Temple (perched on the edge of a high ocean cliff!) ; or go to Uluwatu Beach and explore the Suluban Caves, which look almost like a set right out of the Pirates of the Caribbean movie franchise. Ju-Ma-Na at Banyan Tree Ungasan offers incredible food to go along with a romantic night dining-under-the-stars with an amazing oceanfront view. 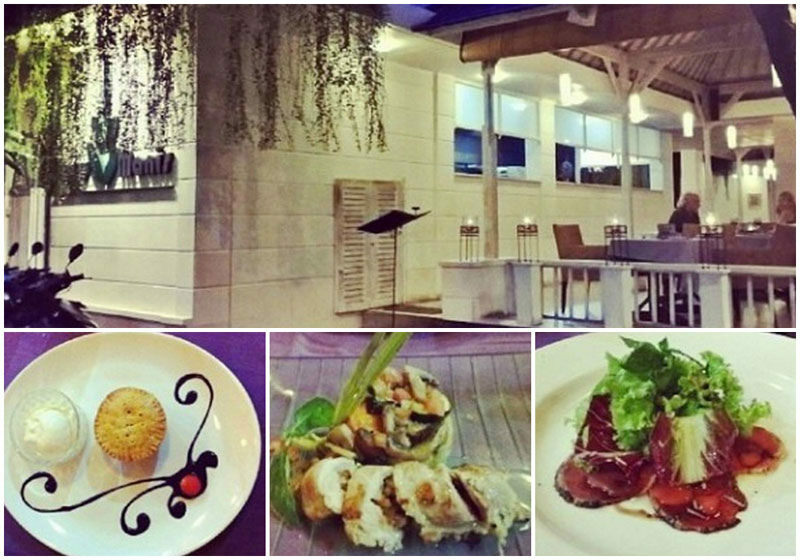 If you are craving for affordable seafood in a romantic setting, you can head down to Jimbaran. Our recommendation? Look out for Made Bagus! Uluwatu is pretty mountainous and there are very few petrol stations. If you are driving, make sure you have enough petrol to get back. The nearest petrol station is probably in Seminyak or near GWK park. If you can’t find any petrol station, you may purchase a few bottles of petrol from local shops at 10,000IDR per 1 litre bottle. 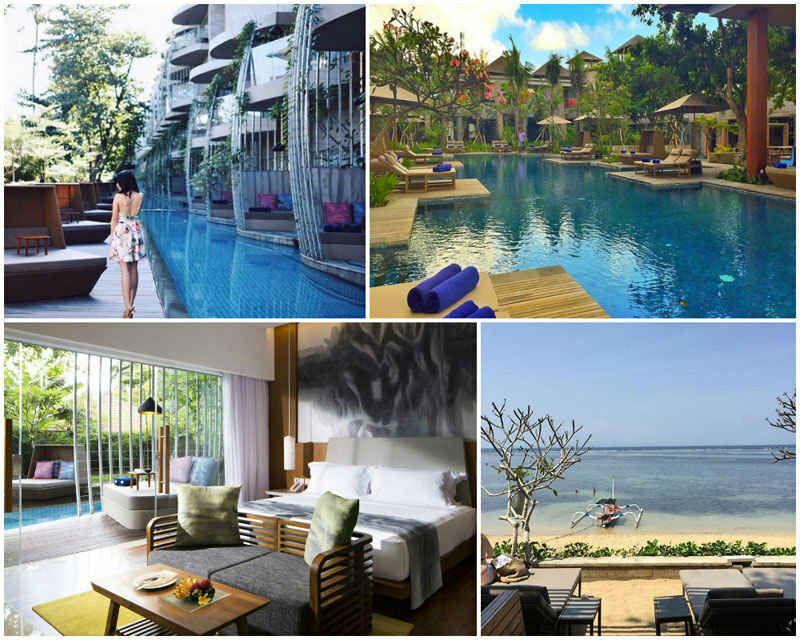 4-a-v. Sanur – Bring the Kids, It’s a Family-Friendly Vacation! Sanur has a more traditional vibe and it’s much quieter than Kuta. If you are looking for quiet beach getaway, this is the place to be. It has great restaurants without loud music, the beach is calm and no huge waves. It also has a paved 7km walkway. Of all the lovely places in Bali, Sanur remains one of the most family-friendly locations for parents to bring their kids to. 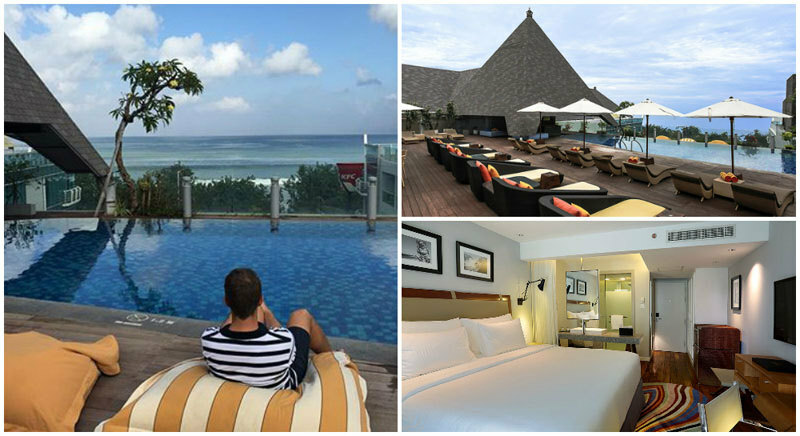 At Prama Sanur, kickback at the poolside Tirta r]Restaurant, and enjoy the beachfront view. Wondering where to take your kids? The hotel’s facilities include the Splash Zone, a wonderful water play area to keep your kids entertained, while cooling them down. 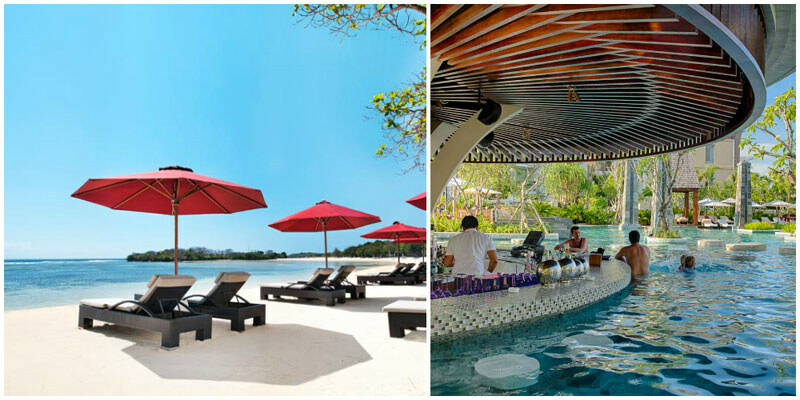 There’s also the cool Bamboo Bar for parents who need that chilled drink in hand, and the watersports activity centre for exciting entertainment. The perfect getaway in the form of a deluxe beachfront property, Maya Sanur provide an exquisite backdrop to your beach vacation. This idyllic location offers up spa packages such as ‘Sunset at Sanur’, well appointed rooms, and great internet – along with the many other facilities and activities available for your enjoyment. Get up close and personal with baby sharks at the Serangan Shark Island Project. Or watch baby turtles hatch at the Turtle Conservation and Education Centre (TCEC). The popular Bali Seawalker is another great way that provides a safe and fun time for families, allowing your kids (10 years and up) to experience Sanur’s beaches in an entirely different way. 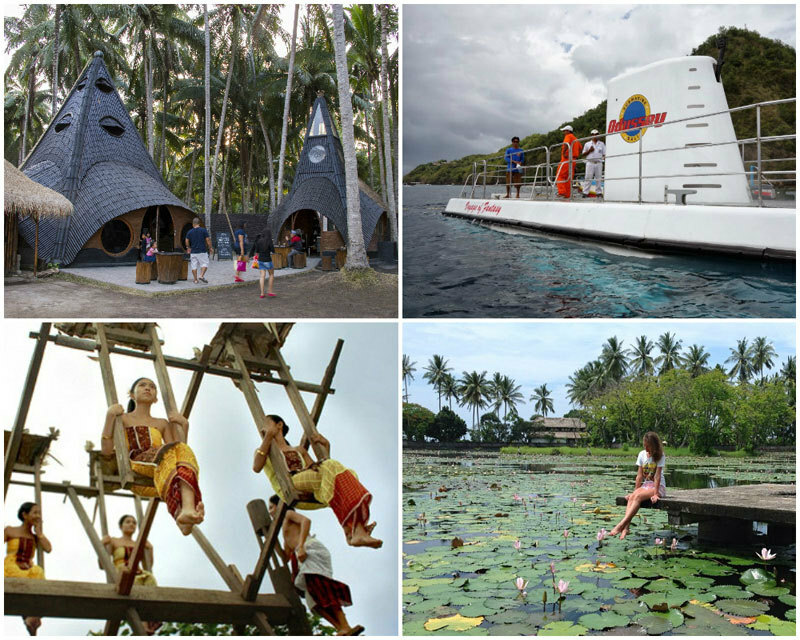 You may even bring them to the abandoned theme park, Taman Festival Bali, which is definitely something new! Kayu Manis serves a wide variety of uber delicious food, even the fussiest of kids will be able to find something they like. Sanur is a good place to just walk and explore as distances are not too far, and there is a convenient paved path which runs through the whole district. 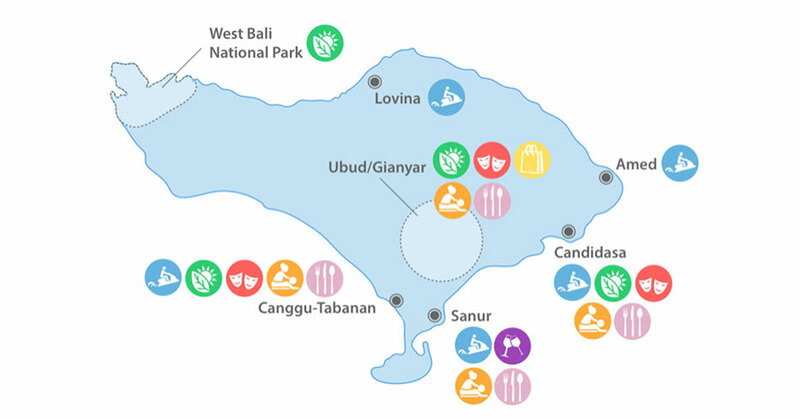 North Kuta mainly comprises Canggu, and Tabanan, and there’s unsurprisingly, a lot to be done. 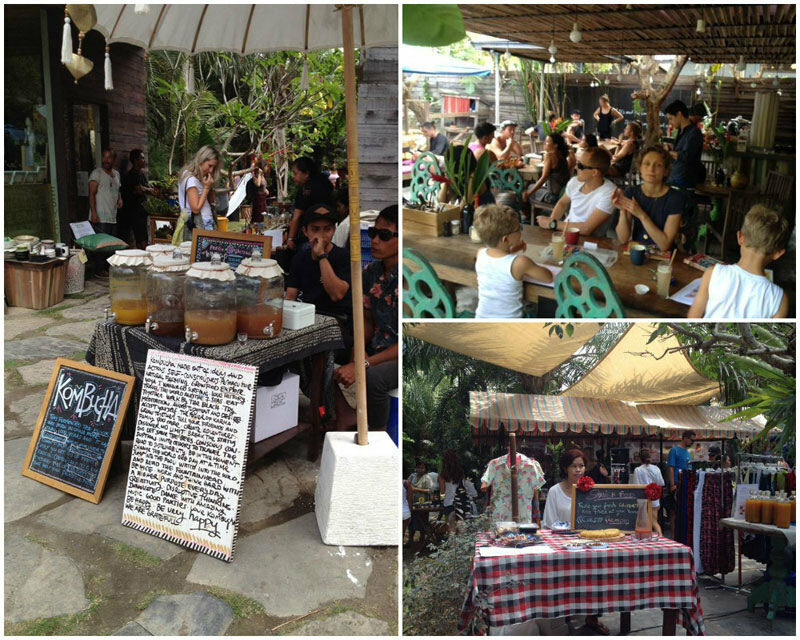 Another location that’s pretty great for bringing the kids to, Canggu offers a wide variety of things to do. 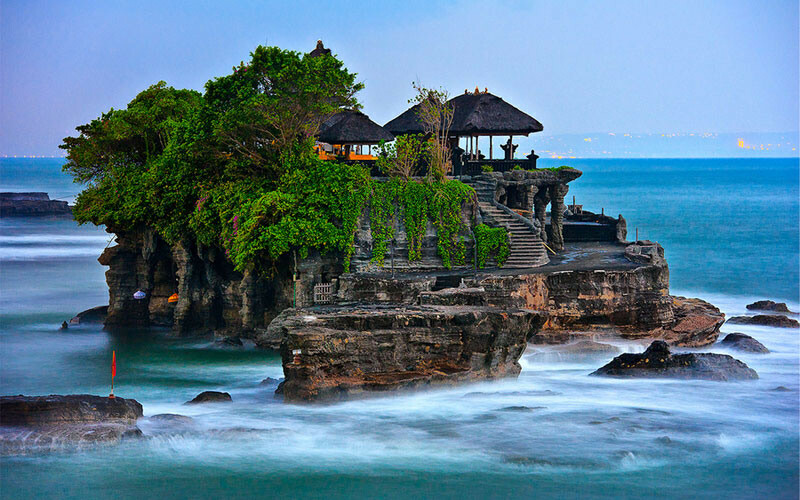 From visiting the Tanah Lot Temple, and horseback riding tours on the beach or through rice paddies and small villages; to water fun at Splash Waterpark and more. 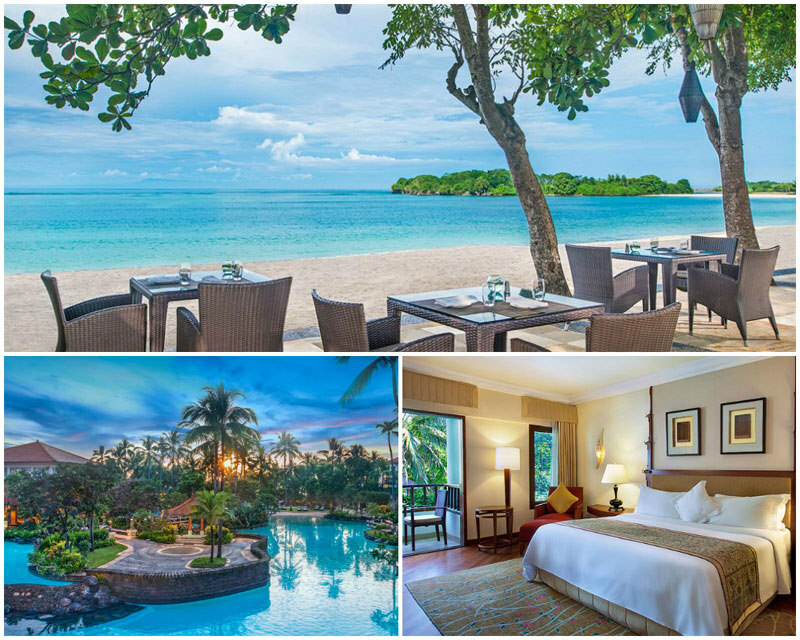 It might be 3-star rated but it sure is comfortable and convenient – FRii Bali is minutes away from good surfing spots and Batu Bolong Beach. And if you’re into yoga, they even offer yoga classes! Looking to shop? There’s also a free shuttle bus to take you into Seminyak where you can shop (and check out the numerous cafes) to your heart’s content! How do sunset cocktails and a movie screening on the rooftop sound to you? That’s exactly what you’ll be able to find at Kirana, one of the romantic hotels near the beach. And again, if you’re looking to get in a spot of shopping at Seminyak, there’s a free shuttle to take you there. With many beaches, bars, and cafes in the area, your vacay will be nothing but relaxing. 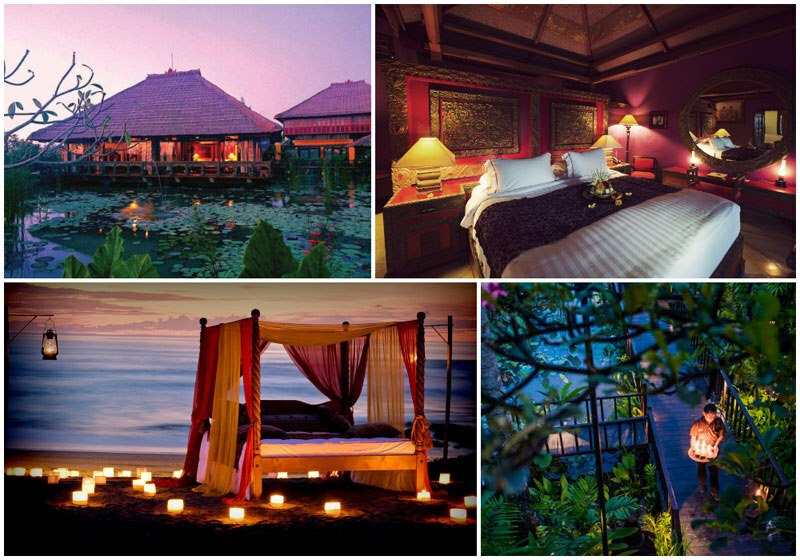 If you’re up for something a little special, Tugu Bali is the hotel to go to, for a feel of old Bali. With it’s ethnic decor including traditional Balinese carvings, and wood furnishings, you’ll feel right at home in home sweet Tugu. There even is direct beach access so you may escape into the beach wonderland and get right onto your next actitivy. 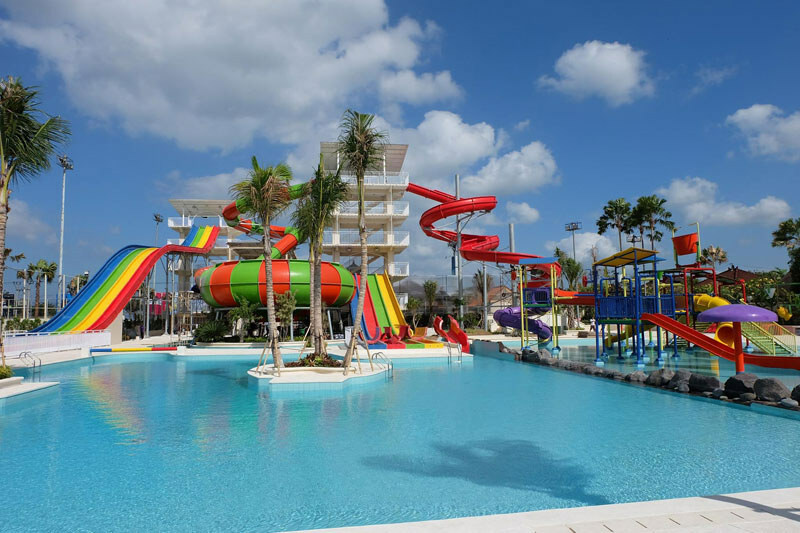 Have a swimmingly fantastic time at Splash Waterpark with its variety of colourful waterslides and tube rafting. Canggu is also great for surfing, and is not as touristy as the more popular hotspots like Seminyak or Kuta! If you are a forest person, you will love Ubud as there are rolling green hills, luscious forests and vast expanse of paddy fields. 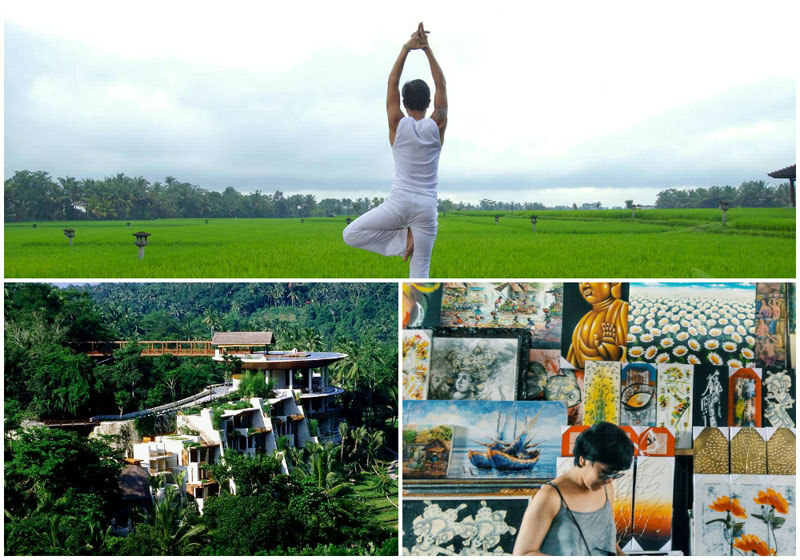 For individuals on a journey of self-discovery; girlfriends on a retreat; couples rekindling your romance; or adventurers with a penchant for art and culture – Ubud/Gianyar is a wonderful place to be. With art galleries and yoga studios at every corner you turn, a trip to Ubud is one that is more spiritual and cultural at its core. Especially if you need some peace and positive vibes, Ubud has a way to soothe your soul, as evident in the popular movie – Eat, Pray, Love. For those who are bringing their kids, you might want to consider Mara Safari Lodge too, where you can feed animals right from the comfort of your own balcony. 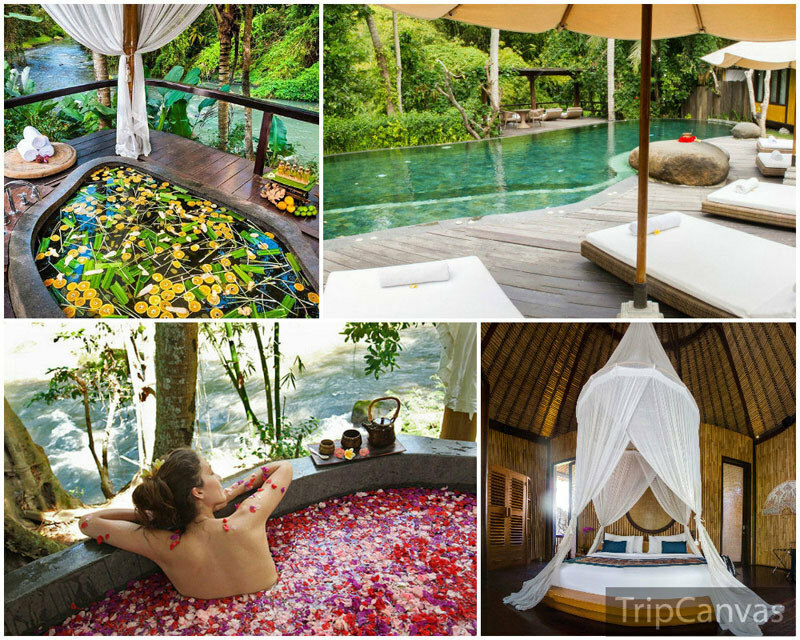 There are a plethora of really cool budget stays in Ubud, but the best would have to be Bliss Bungalow. 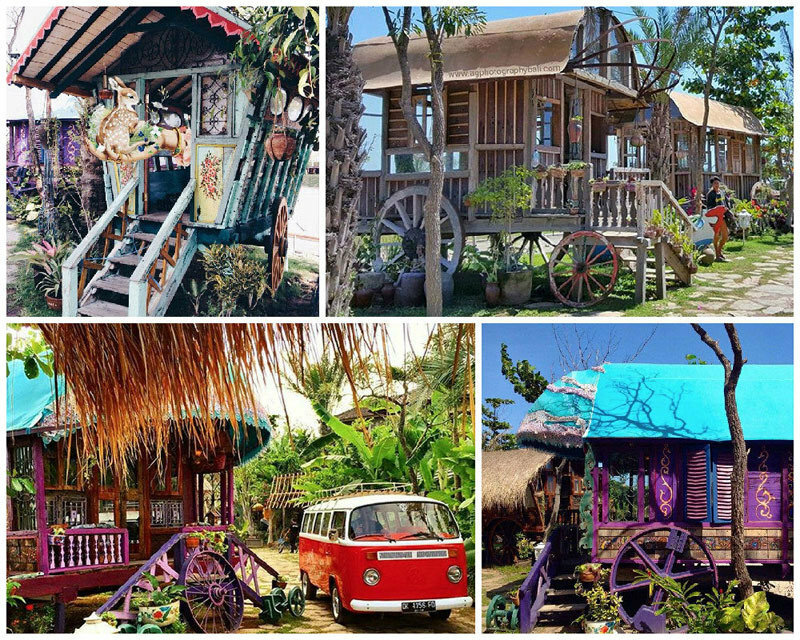 This wooden wonderland comes complete with paddy field views and stunning gardens to stroll in. In addition, you will find some of the best (and cheapest) spa treatments here too. With treatments such as ayurveda packages, stone massages and chocolate treatments – getting your bliss on will be a cinch! 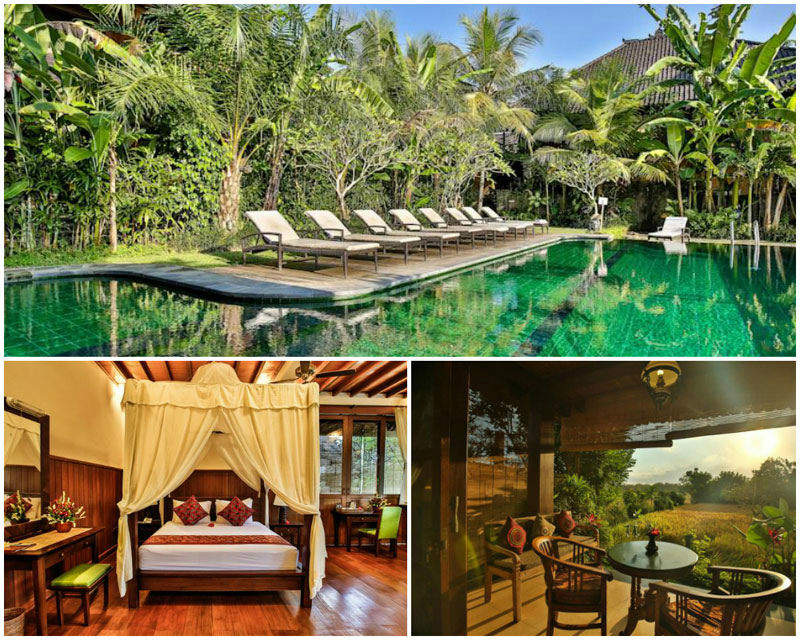 We weren’t kidding when we said there were many amazing places to stay in Ubud. One of them, is Villa Pererepan. 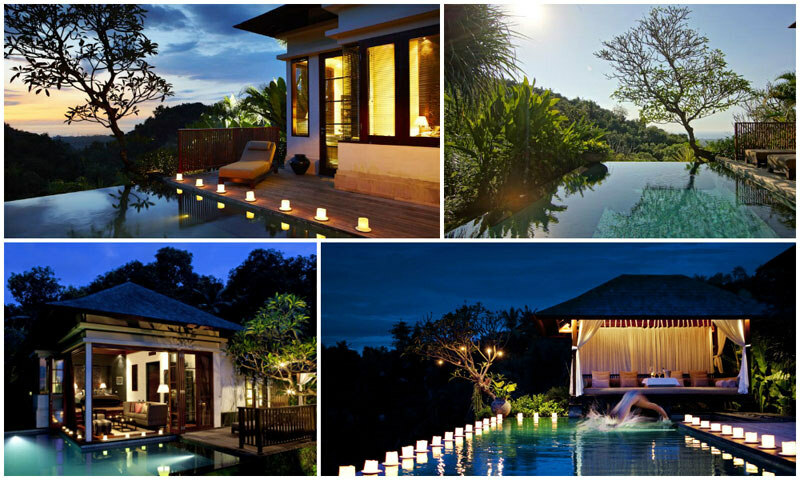 A simply stunning eco-friendly jungle retreat that provides an incredible setting for photoshoots. However, since it’s close to jungle, do be prepared for bugs, and well… a more ‘natural’ experience. 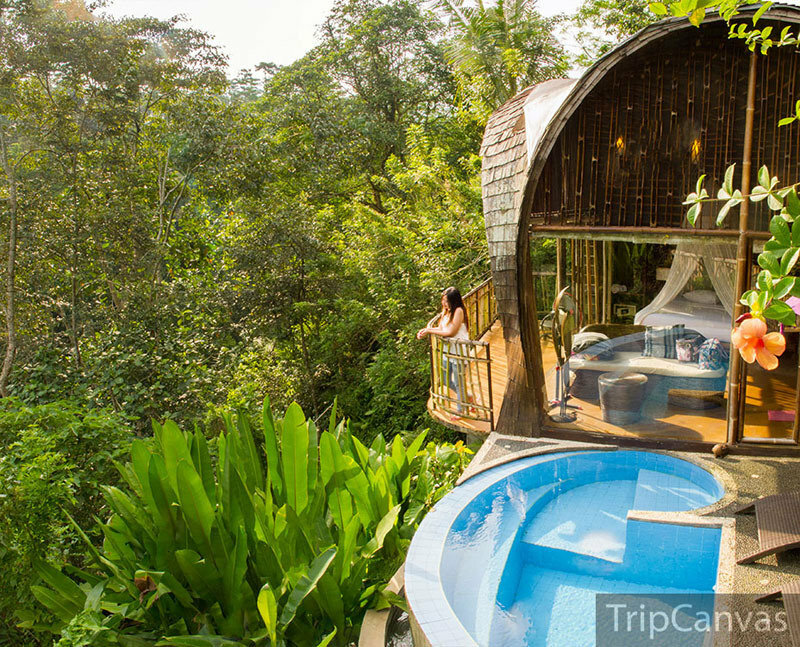 If you’re okay with that, one of the best and most romantic times you’ll have here – is being in bed with your lover, watching the over the beautiful jungle view. Perpetually sold out, Fivelements is one eco-luxury stay that will leave you feeling rejuvenated and absolutely pampered. With a specially curated environment that’s so soothing on the soul, Fivelements is indeed a great place for ‘healing’ your body and soul – especially with healing treatments, and the organic healthy food available. And with the babbling sound of running water from the river situated right by Fivelements, you’ll have the ideal soundtrack to complete this soothing stay. 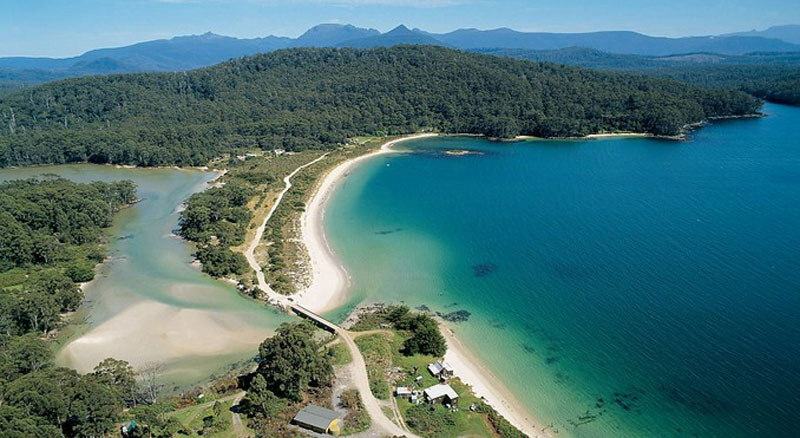 Take an eco tour at The Green Village designed by jewellery designer John Hardy and his daughter. 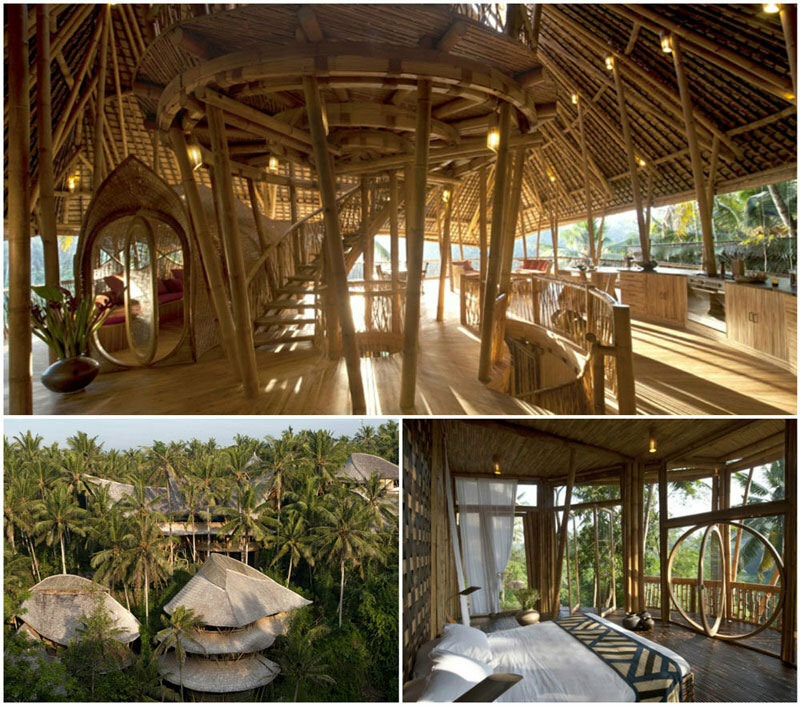 See the bespoke luxury bamboo homes; visit the bamboo factory; join workshops; or learn the art of permaculture and sustainable farming – there’s much to be done here! There are way too many amazing restaurants with equally amazing views in Ubud. 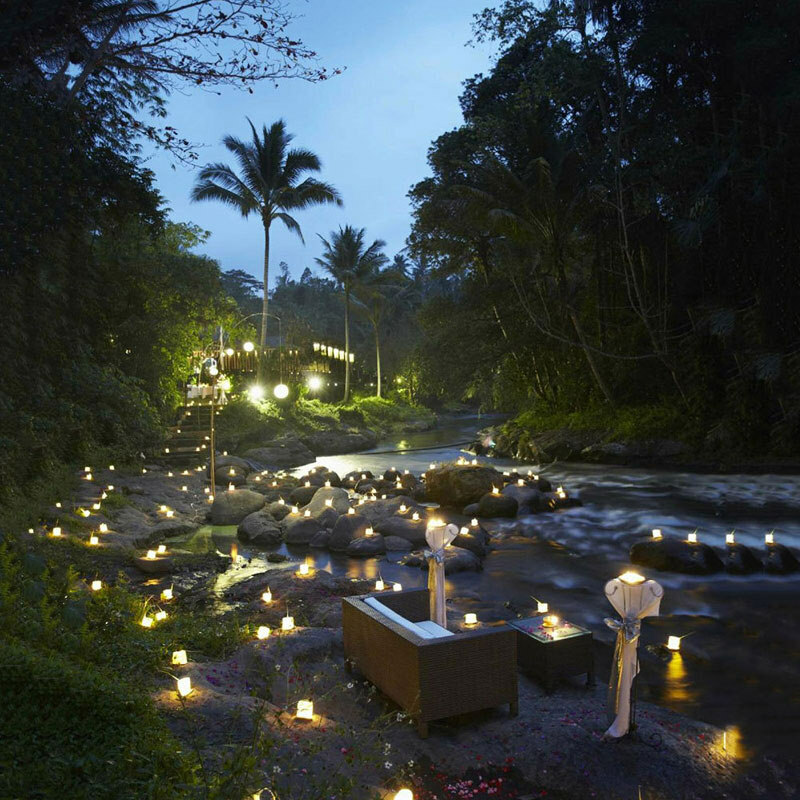 For one, The Samaya has a magical 100-candle dinner set on the wooden desk, right by the babbling river. It’s definitely one of the most romantic places to celebrate anniversaries with your special someone. If you’re an artist looking to get inspired during your stay, there are artist retreats you should totally check out! Make sure you bring insect repellent to ward off the bugs. If you love to read, make sure to bring a book as Ubud provides a lovely tranquil background for some reading. If you loved all the culture and peace of Ubud, but want more activities such as diving, Candidasa will better suit your taste. With emerald rice terraces inland, amazing diving spots around the coast and the Taman Ujing Waterpalace, there’s much to see and do at Candidasa. Ultimately, Candidasa is great for travelers who want a peaceful time, while still indulging in adventure without the overwhelming hustle of crowds and touts. Candidasa’s very own nirvana, The Nirwana is a stone’s throw away from the ocean, and boasts a picturesque view of the mountains. There’s a restaurant that’s right by the infinity pool where you can spend days just lazing and watching the drifting clouds. 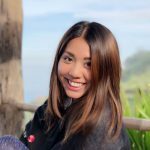 But of course, if you want to get the most out of your time in Candidasa, make sure to visit the ancient temples, and even the Karangasem Palace. Visit Charlie’s Chocolate Factory (nothing to do with the Roald Dahl book! ), and indulge in some delectable chocolate tasting. You may even buy handmade soaps off the small soap studio. And for something a little more adrenaline-pumping, have a go at the giant swing! 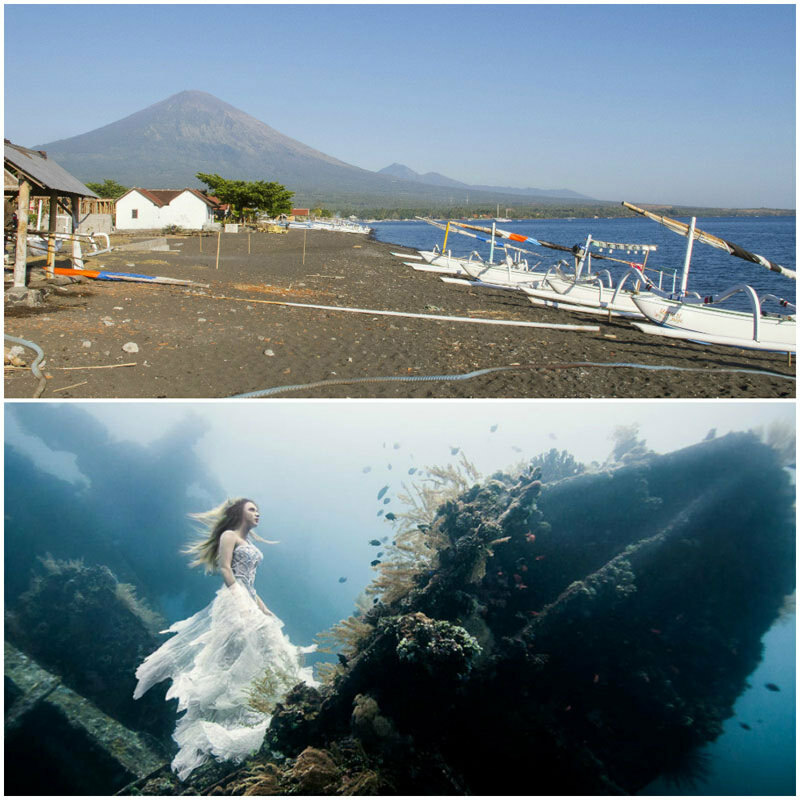 Take the Odyssey submarine and admire Amuk Bay in underwater, or visit the Tenganan village here to soak in the culture. 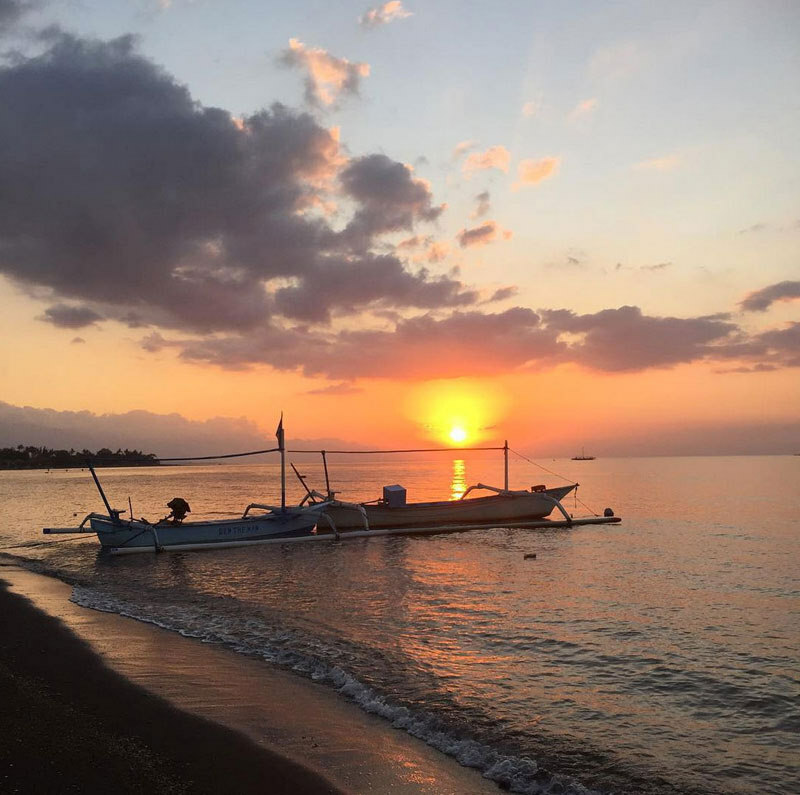 There even is the grand Lotus Lagoon (depends on season), one of Candidasa’s major landmarks, you should definitely visit for a break away from the activities. Dig into the best of betutu (duck!) at Warung Padang Kecag. The slow roasted duck marinated in spices will set your taste buds tingling with its crispy skin and juicy, tender meat. If possible, try to time your trip so you may visit the annual Makare-kare festival (usually in May or June) in a local village nearby. The charm of the quaint fishing village of Amed is that it’s relatively untouched, since it is one of the most recent rural areas in Bali to be developed for tourism. Amed is the quintessence of Bali in its early days, oozing with authentic, traditional Balinese culture, just awaiting your discovery. 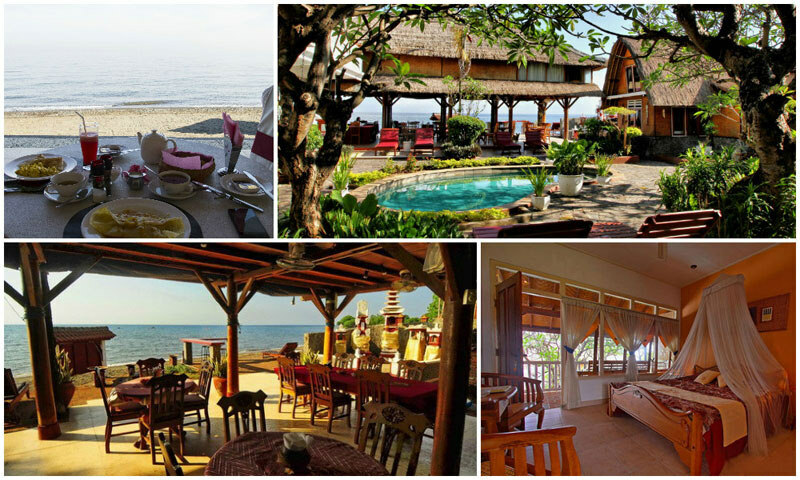 Located right on the beach, The Shooting Star Homestay is convenient for those who want to 1) relax, and 2) get right into watersports. The rooms are clean and equipped with effective air conditioning. For the amount they charge for the rooms, it’s definitely a steal for a beachfront accommodation. For those who want to catch a boat to Gili islands, the homestay staff can help to arrange for a fraction of the price you see in town. Interestingly, The Griya’s Villas have been designed to blend with the contours of the lands – harmoniously transitioning between ocean and mountain views. 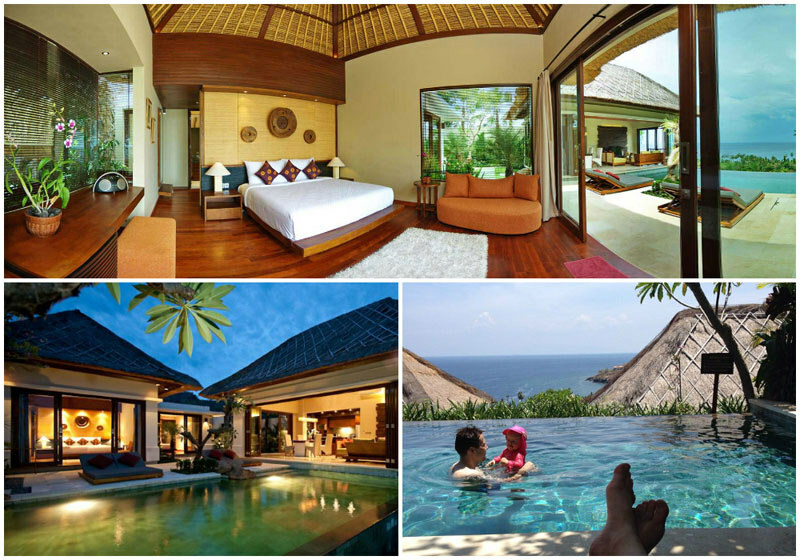 All villas also have a private pool with an infinity edge that overlooks the gorgeous Lipah Bay. And with the Channa Spa, Yoga and Reiki classes, along with The Griya Gym available, guests have all the resources they need to be happy and healthy. Learn to free dive, and get comfortable in the ocean. 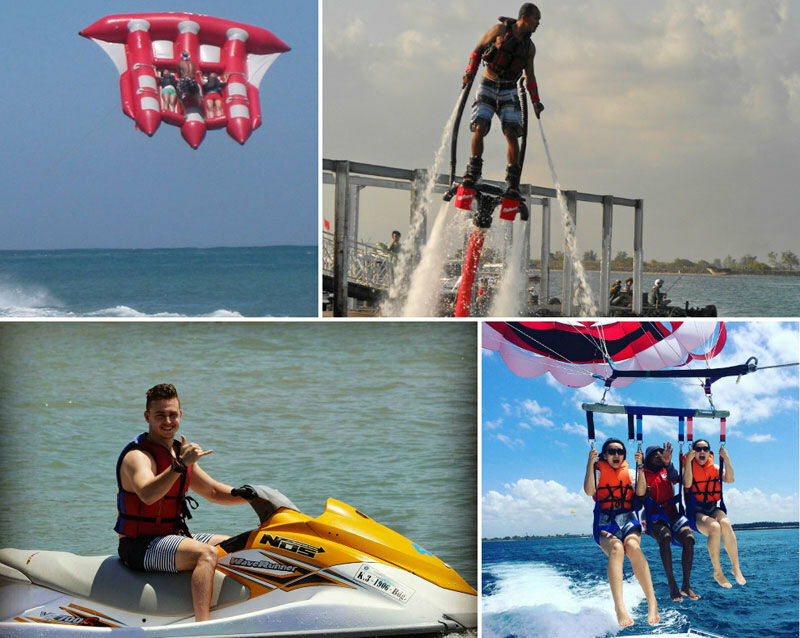 It’s exhilarating and will give you one of the boldest experiences to ever be had. 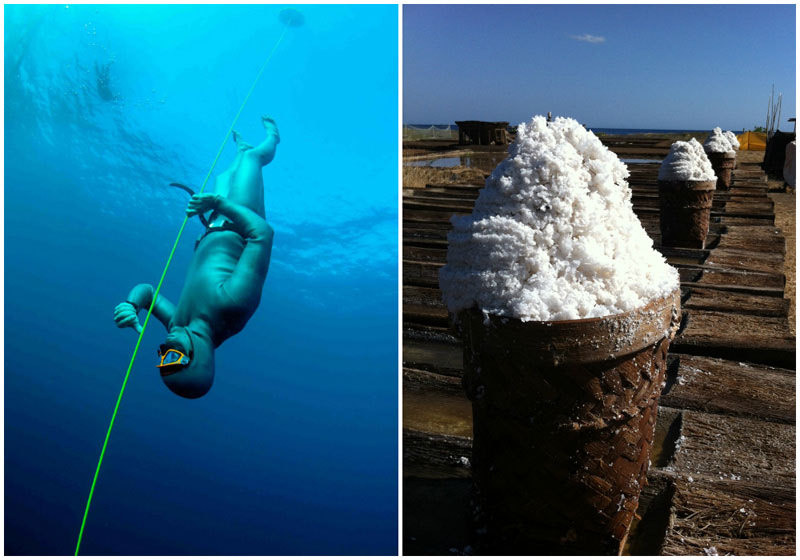 Apart from that, check out how the locals harvest salt using traditional methods. 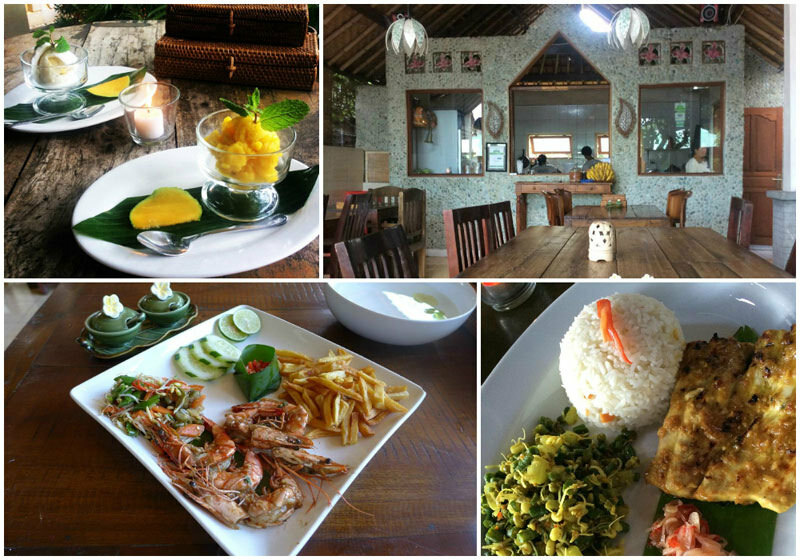 Check out Warung Enak Homestay’s delectable super authentic Balinese food – home-cooked to perfection. Amed is the best place to catch a boat to Gilis Islands (spectacular paradise with powdery white sands and clear sapphire waters) in Lombok. It’s the nearest port from Bali, so you don’t have to travel much on choppy seas. Lovina is the black sand beach destination of North Bali. So what does one do when they’re at Lovina Beach? They go see the dolphins, of course! It is also used as a base for exploring Bedugul Highlands, Pemuteran in the west and Amed in the east. Beautifully decorated with many amenities, the good thing about Villa Agung are Gus and Sandi, hosts at the inn. Feel free to ask them for advice on activities, or if you need help – they’ll make you feel right at home. 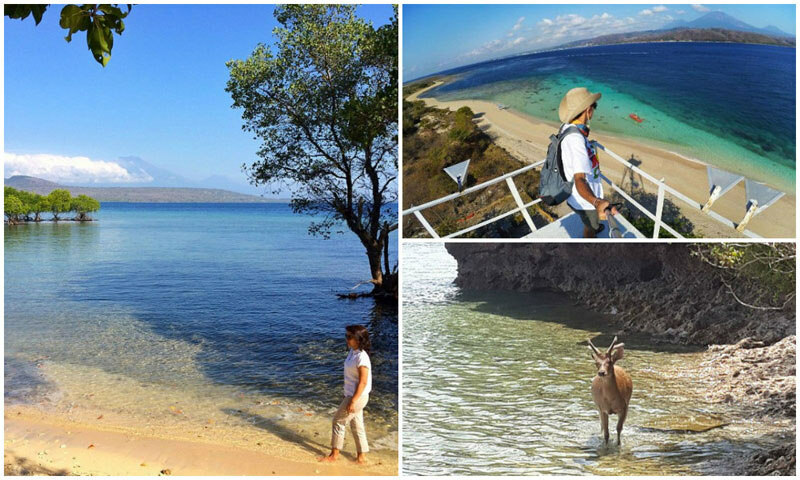 Also, staying at Villa Agung is made even better as dolphin tours are available at $7 (100,000 IDR)! And if you’re looking for more activities, Villa Agung has a convenient variety for you to choose from. Lounge by your private pool while enjoying a view of volcanoes in distant Java? To that we say, amen! 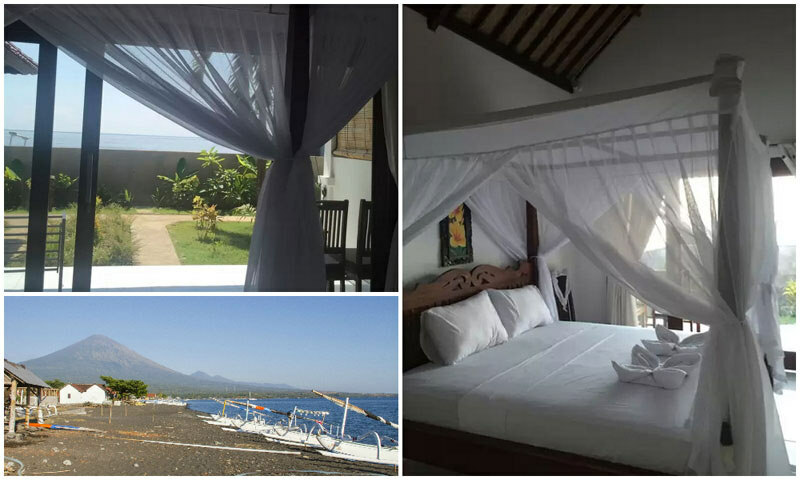 The Damai is pretty much where one can get away from the hustle bustle of Bali, and rest your weary selves in the peaceful serenity of Lovina. ‘Hard to find. Hard to Leave’ is The Damai’s slogan, and we agree. It’s also the perfect starting point for you to begin your adventure stumbling on hidden gems like the Ambengan Waterfall. Otherwise, get in some meditation at Bali’s largest Buddhist temple, Brahma Vihara Arama. When you’re in the area, you should also most definitely check out Banjar’s natural hot springs, and the beautiful Sekumpul falls. Have a meal at Secret Garden Restaurant. It’s unexpectedly elegant, and the food is superb and delivered with love. If you just want to see the dolphins, head to Lovina for a day trip! 4-d-ii. 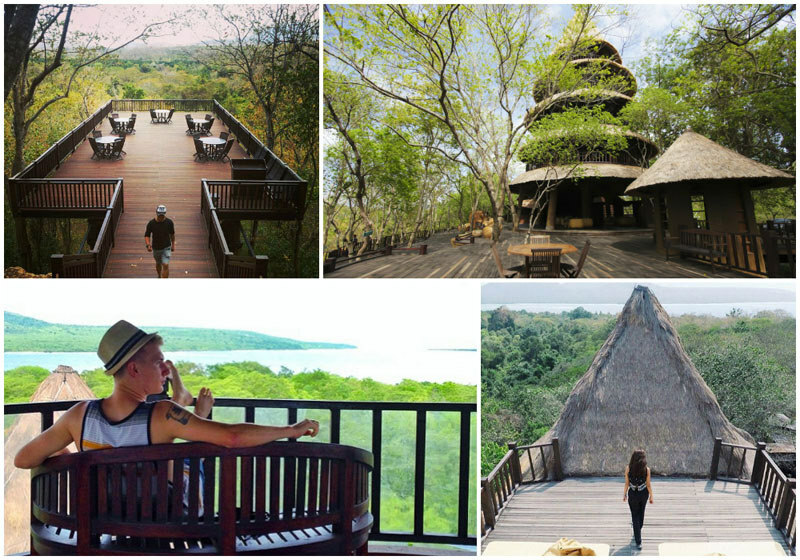 West Bali National Park – Want to See Bali’s Exotic Wildlife? If you’re a nature junkie, and you can’t get enough of natural sights and wonders, West Bali National Park is home to lush unspoilt beauty that you’ll happily explore for days. Crystal clear waters, pristine beaches, lush forests and spectacular mountain views – this national park not only offers up incredible views, but has over a hundred species of wildlife. It’s the epitome of a nature retreat, Menjangan is set right in the middle of one of the least visited, but most beautiful parts of Bali. Choose from 3 areas to stay, the Monsoon Lodge, Beach Villa, or The Residence; all of which are adequately decked out with luxurious amenities for your use. And with plenty of activities available, both on land and sea – birdwatching, trekking, biking and horseback riding; and kayaking, snorkeling and diving – The Menjangan will keep you fully occupied during your vacation. Go bird watching and see how many of the 160 species of birds (that have been recorded) you can find! Get a glimpse of the iconic white Bali Starling, or saunter down the beaches and check out the offshore coral reefs. If you want to get in a spot of diving, you may even travel to an offshore island, Menjangan! Get a superb 360º view of the park as you dine at The Menjangan. 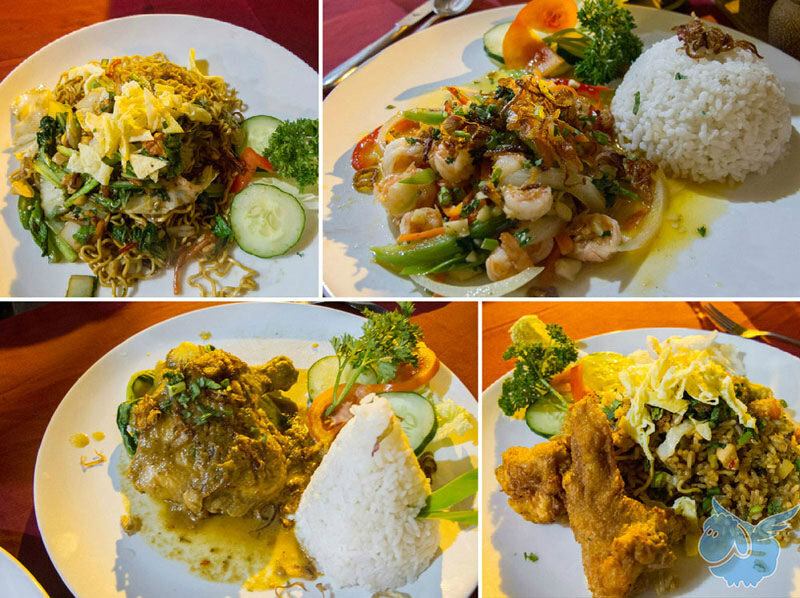 Only breakfast or lunch provided in delightful Mediterranean and Indonesian styles. Only a portion of the park is open to visitors, so be careful not to wander off. There are 2 main ways to explore the park – hike the trails, or focus on the mangrove/marine parts of the park. With a Bali area guide that is this comprehensive, complete with insider tips and the best recommendations for 3, 4, and 5-star hotel/villa/resort stays – you won’t need to look any further for help with planning your ultimate Bali trip. 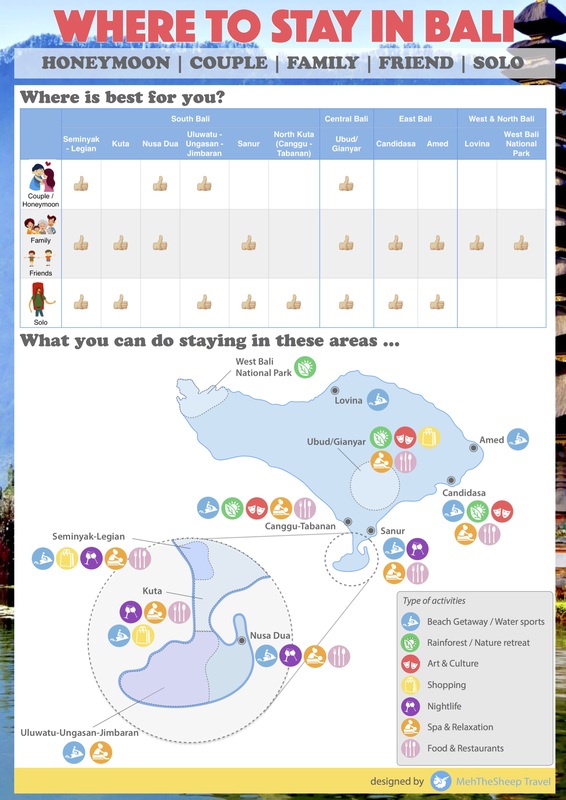 We’ve even made sure to include relevant links throughout, that will help you to better plan your vacation, so be sure to click the links for more of amazing Bali! Are there any useful tips you can share with us? Comment below to let us know!